CPAs, real estate brokers, and customers are a great source of referrals, but LinkedIn is a powerful tool that can help you create more quality introductions. A lot more! For 17 years now of working with banks and bankers around the country. One thing I’ve come to realize specifically about commercial lenders and relationship managers is that most aren’t utilizing LinkedIn anywhere near to the level they could. The primary reason for this is that they don’t have a simple plan to follow that will help them better leverage this powerful tool. I promise you if you take a little time each week, like me, you will be amazed at how you’re able to unlock the power that LinkedIn offers to create quality, targeted warm introductions. I’ve outlined a very simple 5-step action plan, that in 30 days or less, you will get tons of value out this powerful tool. Develop a Targeted Prospect List: Your ROI for the time invested to use LinkedIn will increase dramatically to the extent that you have a list of quality companies as well as the name of the business owner or names of key senior executives. By knowing the company names and names of the people you want to meet, LinkedIn will find those people in your network who have relationships with the prospects you want to meet. Send Customized Invitations To Your Colleagues: Block time in your calendar each week to send LinkedIn “invitations to connect” to your customers and colleagues. Remember to send a personalized invitation as opposed to LinkedIn’s standard invitation. As soon as they accept your invitation, you can see who is in their LinkedIn network and look for opportunities to ask for warm introductions. By expanding your LinkedIn network, you are expanding the likelihood that someone you know also knows the person you seek to be introduced to. Follow Your Prospects and Customers on LinkedIn: This is so fast and easy to do. You will learn so much about your prospects and customers once you “follow” them on LinkedIn. You don’t have to be connected to follow a prospect. By following your prospects, you will learn things which may create opportunities. I encourage you to follow companies you want to do business with. That information will enable you to craft interesting invitations to owners of those businesses as well as learn more about your prospects. Search For Prospects By Owner Name and Company Name: LinkedIn does all of the hard work for you in an instant by identifying who you know that also knows either the name of the business owner or other colleagues or employees. It’s that simple! Make The Call: Simply reach out to your contacts where you have a reasonable comfort level to discuss the possibility of introducing you to the prospect you’d like to start a relationship. Like fish, business people swim in schools. People in an industry know lots of other people in the same industry! Equally important is to be a resource to the person you’re contacting. Be sure you ask them who from your network would be beneficial for them to meet. 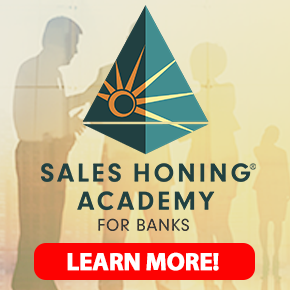 The Sales Honing Academy will empower you with new strategies and approaches to help you discover a variety of new ways to get in front of those people you want to meet – and LinkedIn is a great tool to do just that! Get started using LinkedIn by connecting with me today. How Many More Sales Opportunities Are You Going To Miss?